AVON, Ind. 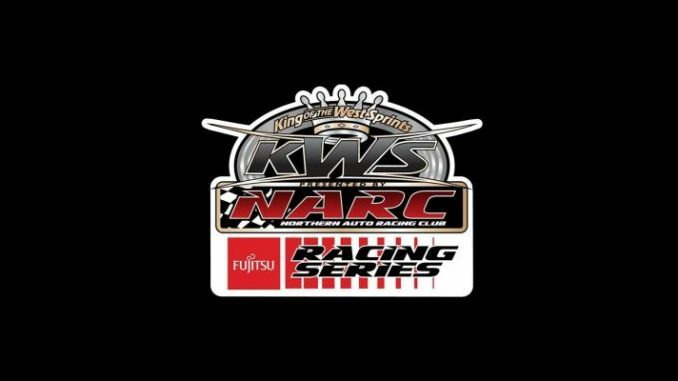 (March 25, 2019) – Speed Shift TV added another stellar partnership as the King of the West-NARC Fujitsu Sprint Car Series has designated the live streaming company as the Official Broadcast and Video Partner. Speed Shift TV and Mills Video Productions will produce video content from each of the 19 races throughout the state of California. All of the events will be in the Speed Shift TV On-Demand section and select races will be broadcast live. An announcement about the specific live broadcasts will be made in the near future. Additionally, Speed Shift TV and Mills Video Productions will be season-long sponsors for Heat Race No. 3. This is the 60th anniversary for the 410ci winged sprint car series, which will visit 10 different tracks. The scheduled season opener was rained out earlier this month, making a show at Kern County Raceway Park in Bakersfield, Calif., on April 6 the new season opener. Other standout events this season include the Pombo/Sargent Classic, the Howard Kaeding Classic, the Champions Classic, the Louie Vermeil Classic, the Cotton Classic and the Tribute to Gary Patterson among others. The complete schedule and latest news about the series can be found at http://www.NARC410.com. All live broadcasts for the series will be event Pay-Per-Views only. Access to the Speed Shift TV On-Demand section can be ordered on its own or is included with the recently announced VIP subscription that Speed Shift TV is offering. For a list of all upcoming live broadcasts via Speed Shift TV, visit https://www.SpeedShiftTV.com/schedule/ .